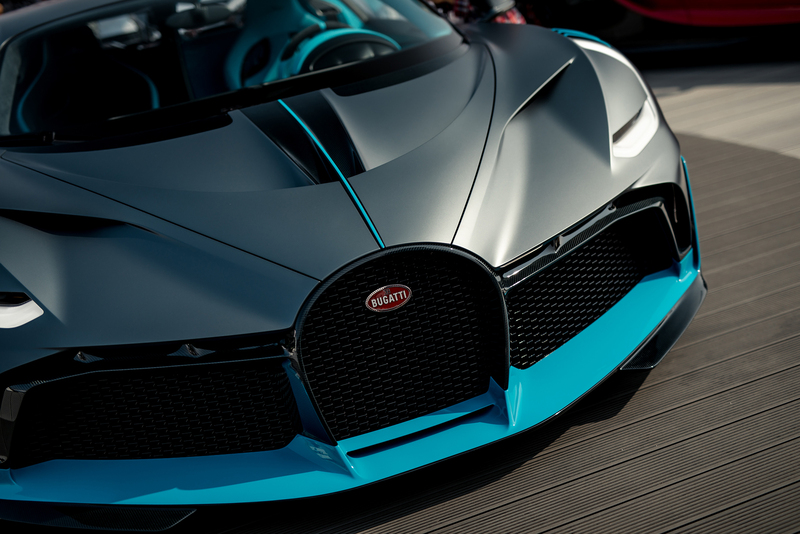 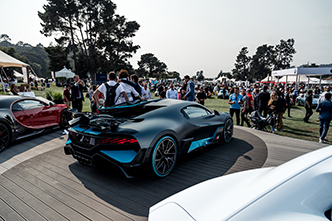 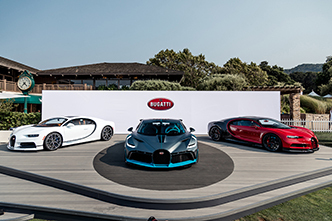 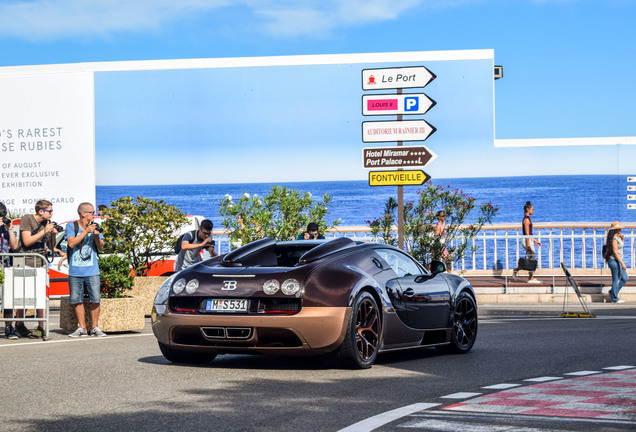 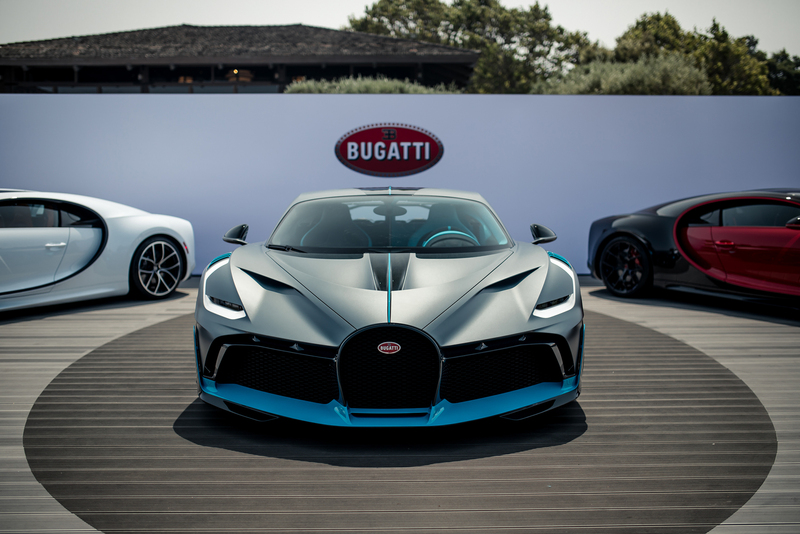 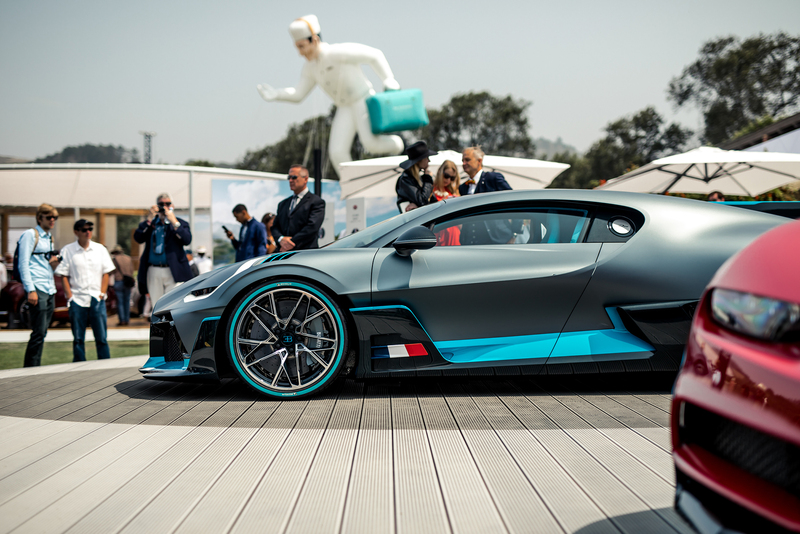 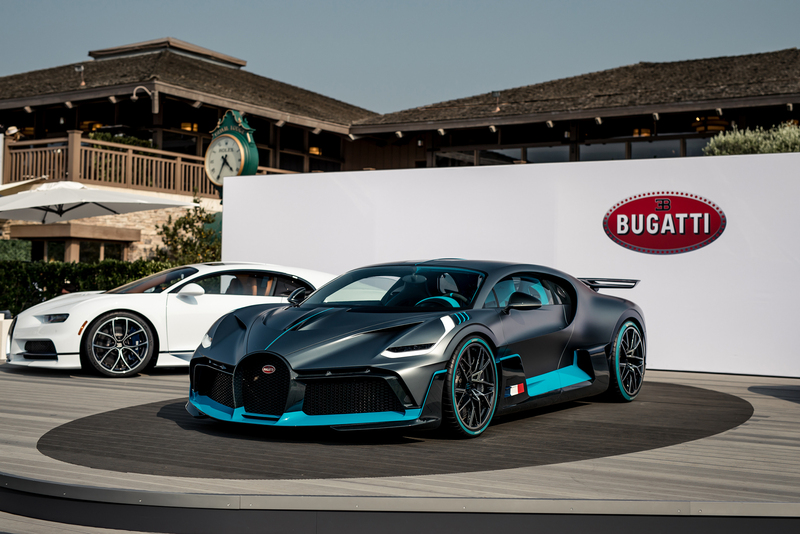 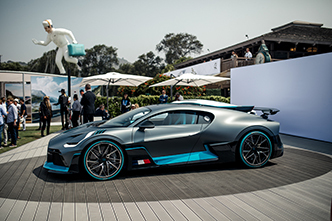 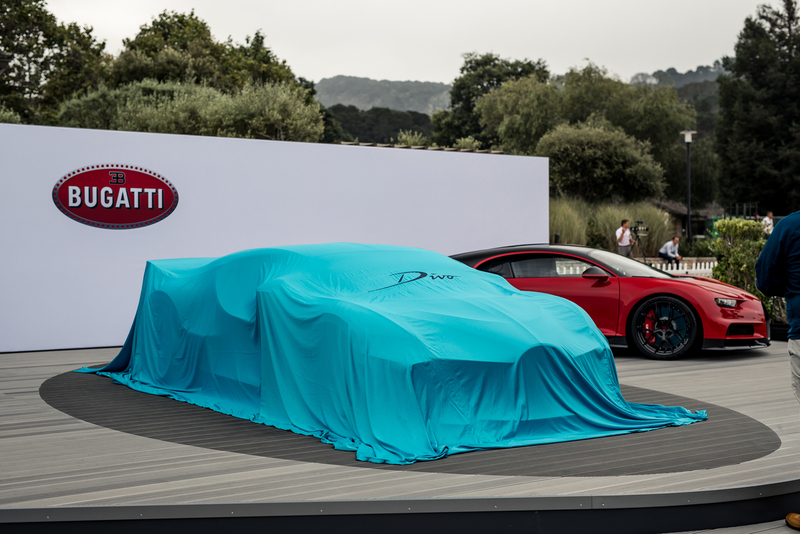 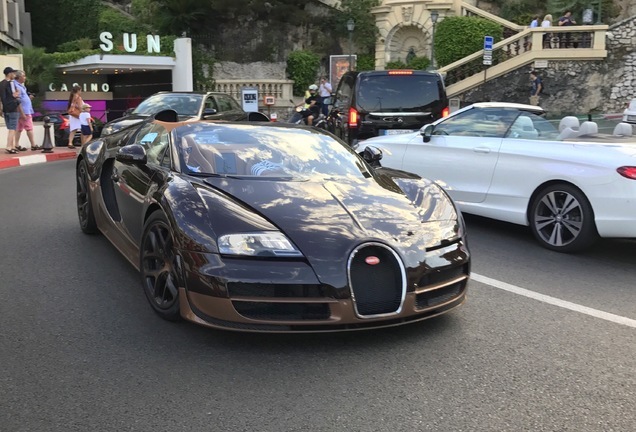 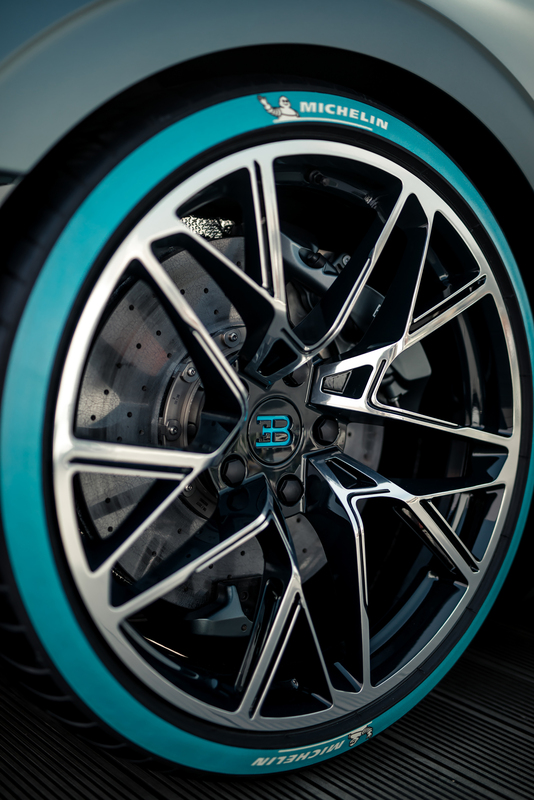 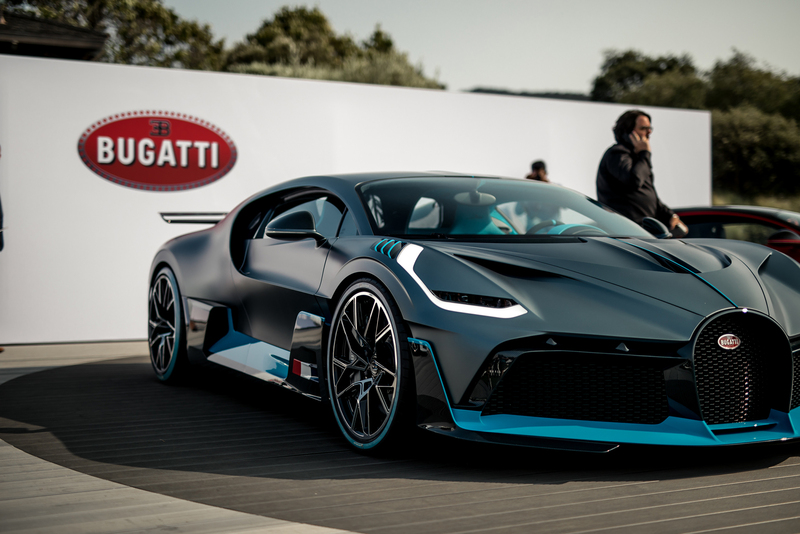 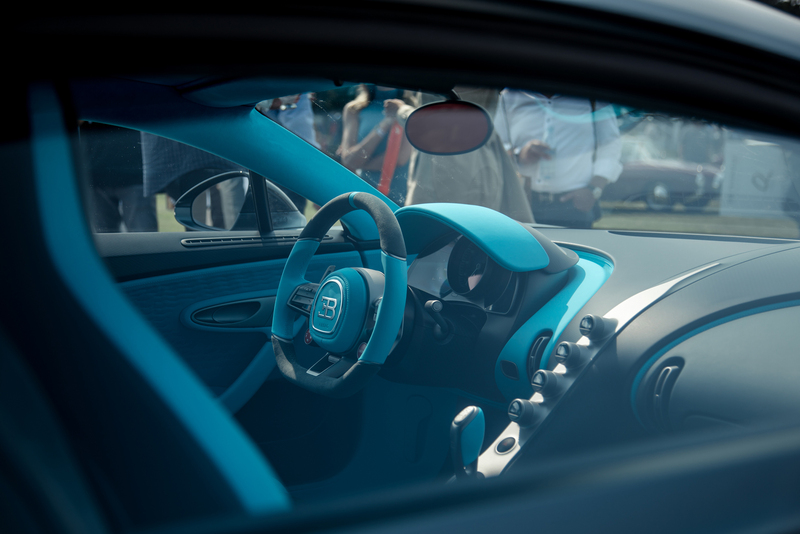 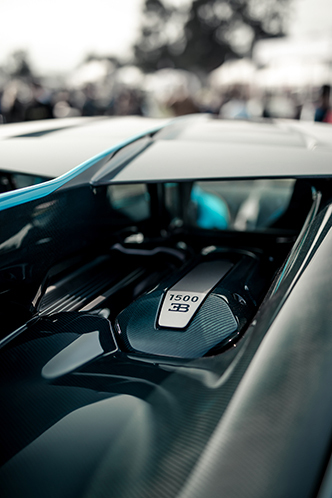 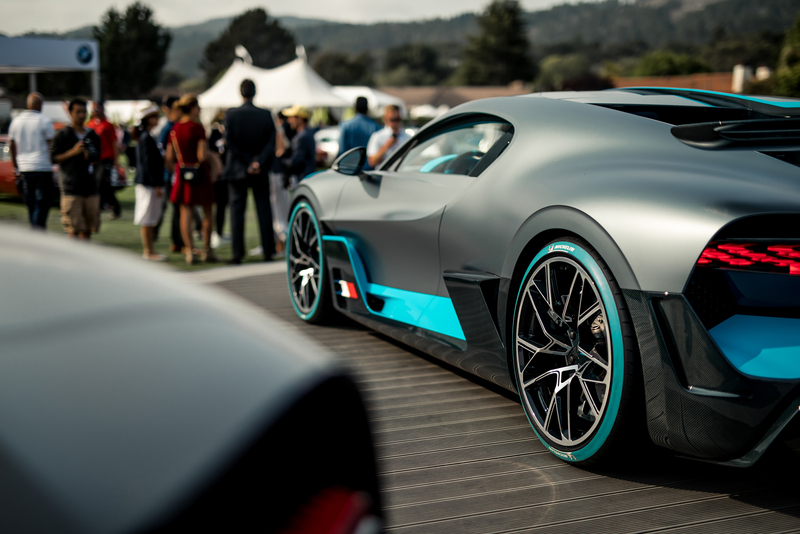 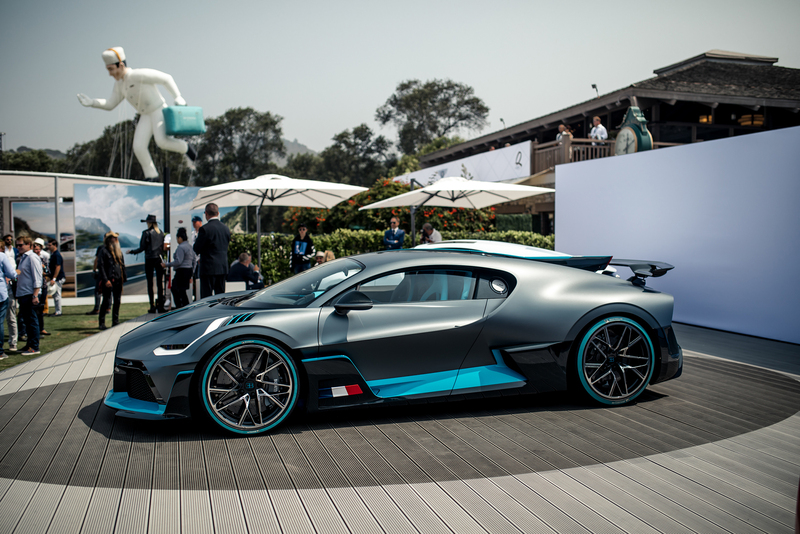 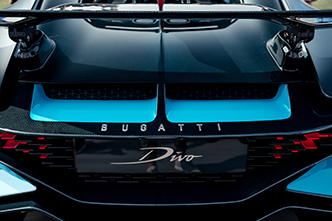 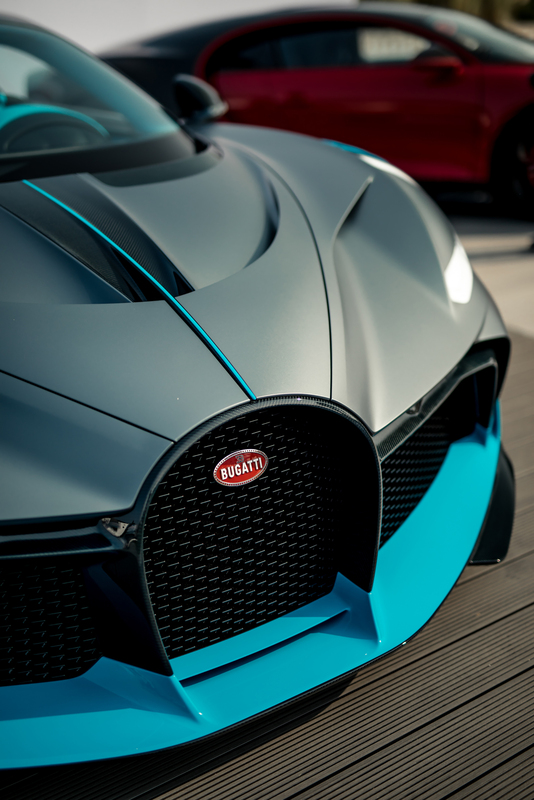 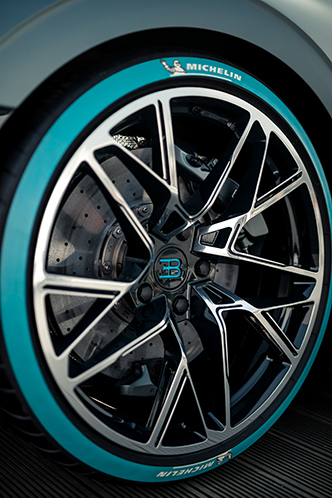 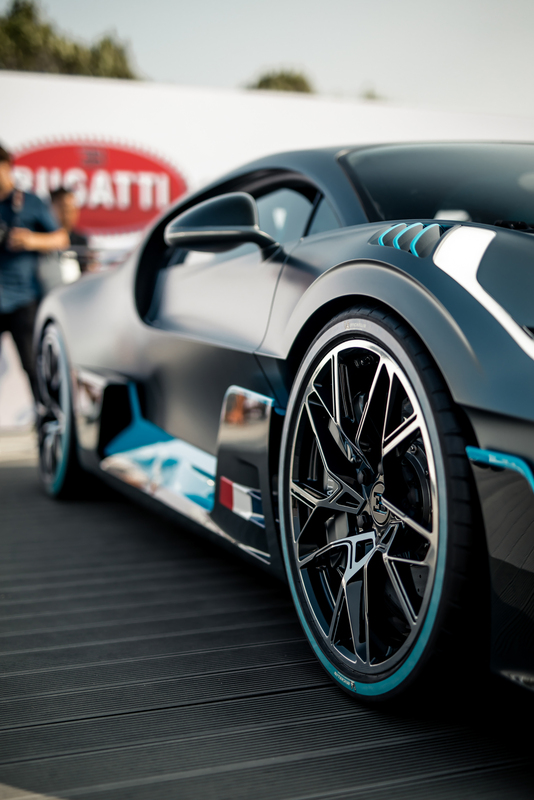 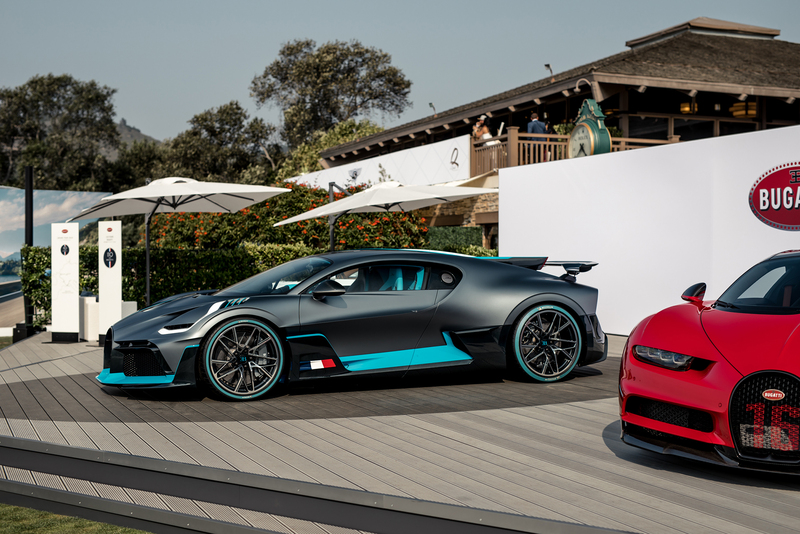 Yesterday our special reporter Keno was there to meet the Bugatti Divo in person. 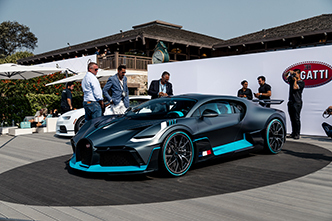 After the teasers and the official press release, it was time to look this amazing machine in the eyes at the Quail, one of the main events during the Monterey car week. 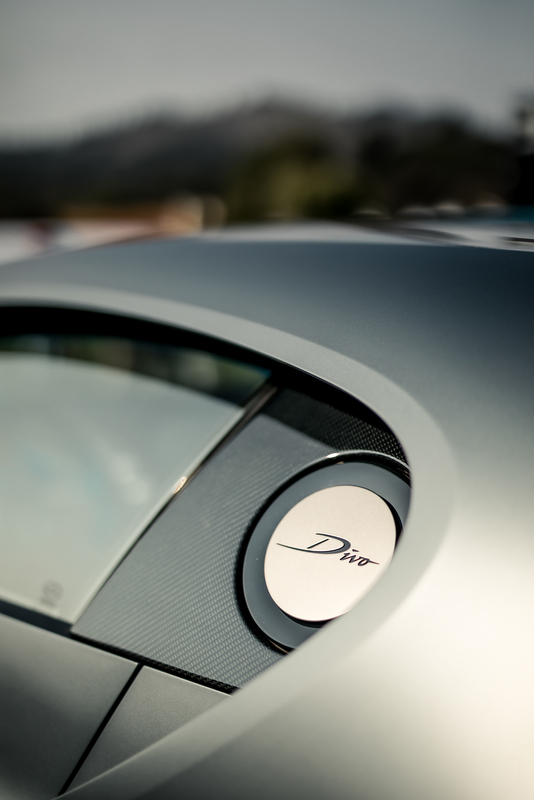 The Divo is most definitely the main attraction this week and the only car that might be able to steal a little bit of the thunder is the Ferrari 250 GTO that was sold for a whopping $48 million. 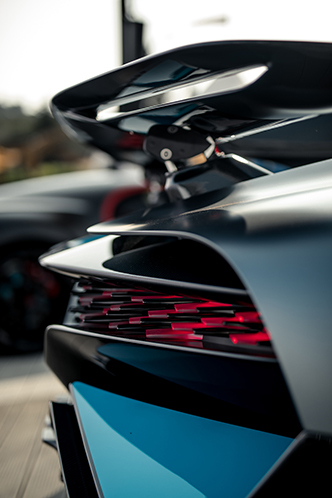 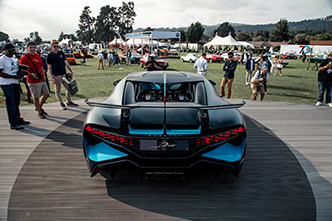 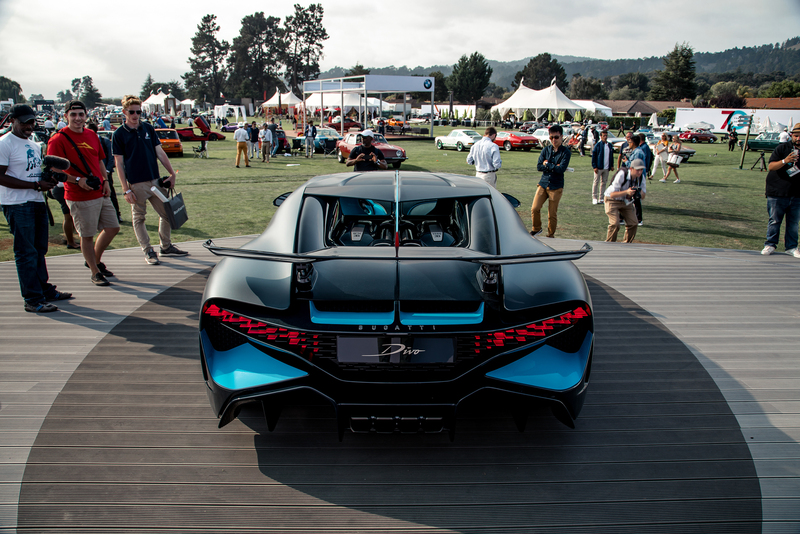 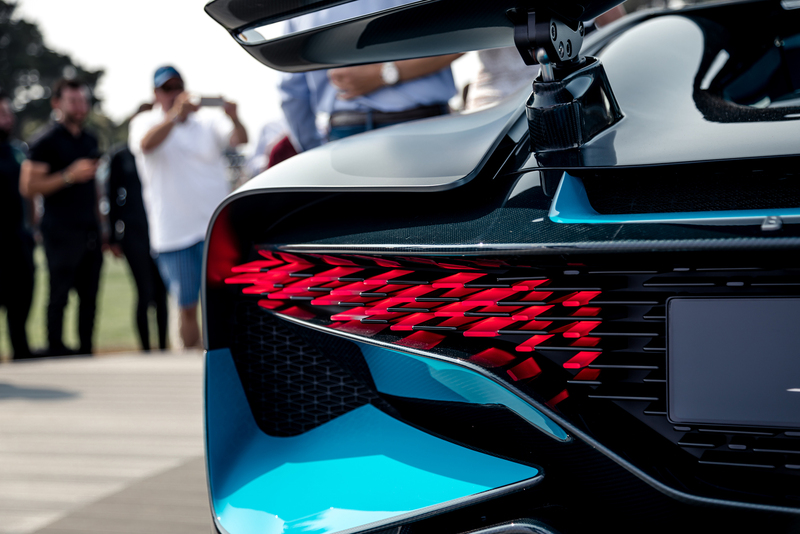 The rear end of the Divo features a new, height-adjustable rear spoiler which functions as an air brake when turned forwards and is set to different angles for the individual driving modes. 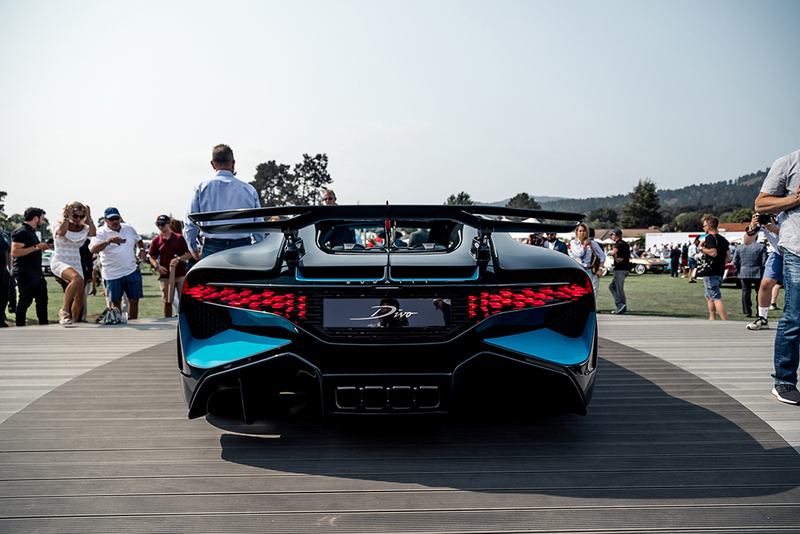 The rear spoiler has a width of 1.83 meters (72”) and is therefore 23 percent wider than on the Chiron. The wider spoiler improves efficiency and results in higher air brake performance as well as significantly more downforce.